This newly remodeled 2 bed 2 bath ski-in ski-out Torian Plum condo features a large living space at nearly 1,250 square feet. The kitchen is built to entertain with a large common area island/breakfast bar, newly clad in beautiful slab of granite. New granite, tile and bathroom fixtures bring the modern elegant spaces in balance with the slopeside location for an effortless experience in luxury living. Updated furnishings and decorative pieces throughout the unit bring each room to life and give the whole condo a warm mountain contemporary character that is sure to please even the most discerning skiers, riders, anglers and bikers. 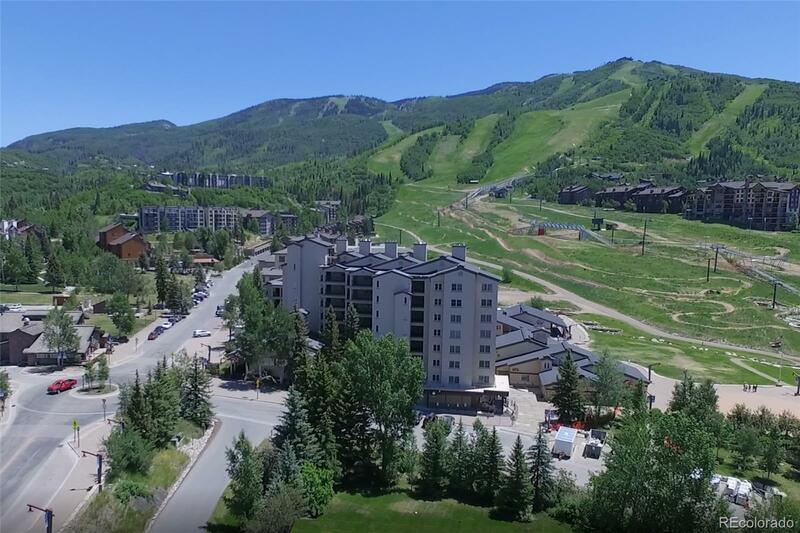 Located at the base of the ski area and above the Torian Plum plaza and shops, this condo is situated perfectly for enjoying all that Steamboat has to offer during the snowy winters and increasingly active and always sunny summers. With a seasonal shuttle, underground parking, full concierge service, conference facilities, fitness center and slopeside pool.